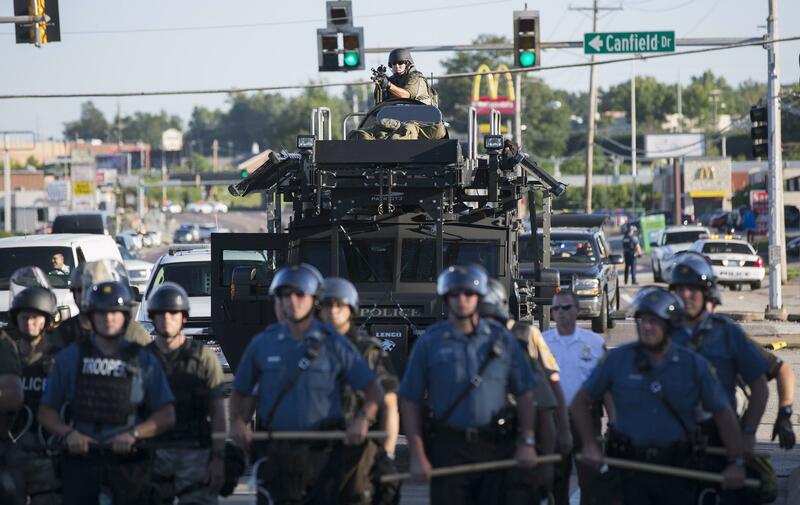 Military hardware used by police in Ferguson, MO. The separate report from the 21st Century Policing task force has a long list of recommendations to improve trust in police, including encouraging more transparency about interactions with the public. The White House said 21 police agencies nationwide, including Camden and nearby Philadelphia, have agreed to start putting out never-before released data on citizen interactions like use of force, stops, citations and officer-involved shootings. The administration also is launching an online toolkit to encourage the use of body cameras to record police interactions. And the Justice Department is giving $163 million in grants to incentivize police departments to adopt the report’s recommendations.